Park National Co. (PRK) Holdings Lifted by BlackRock Inc.
Intel Co. (INTC) Holdings Raised by IMA Wealth Inc.
Silicon Valley startup Faraday Future has canceled its plans to build a $1 billion factory in Nevada. Stefan Krause, Faraday’s chief financial officer, announced in a statement, “We have decided to put a hold on our factory at the Apex site in North Las Vegas.” It is said that the plan was canceled due to cash problems. Faraday announced it was restarting construction of a production facility in North Las Vegas five months ago. That announcement came nearly one year after the company initially halted construction because of financial woes. It now appears that the factory will never be built. The US start-up held a ceremony when construction of the facility began in April last year. That next October, the company halted construction amid reports of money issues. The facility’s building contractor claimed payments had stopped and at least two other suppliers took legal action to force Faraday to pay its debts. 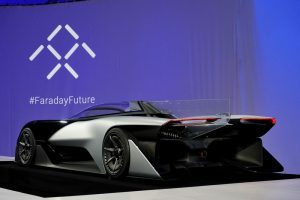 In January, Faraday’s CEO said that the company’s first electric vehicle, the FF 91, would be a luxury car built at the Nevada factory. The company claimed the FF 91 would be the world’s fastest electric car. Then, a Chinese court froze billions of dollars in assets controlled by LeEco’s Jia Yueting, a major investor in the company, leaving Faraday without the means to continue construction on the Nevada factory. Jia is one of China’s most outspoken and controversial entrepreneurs. He made a fortune building Leshi Internet Information & Technology Corp. into China’s version of Netflix. Jia has stepped down from the chief executive officer role at Leshi and said he would resign from its board to focus on serving as chairman of LeEco’s auto unit and Faraday Future. Jia is a backer of Faraday, but LeEco doesn’t own any shares in the carmaker. Park National Co. Holdings Lifted by BlackRock Inc.
First Trust Advisors LP Boosts Stake in OMNOVA Solutions Inc.